An epoxy dispenser pump is a serious piece of equipment. Whether you are using it to create solar panels, or you plan to adhere delicate computer parts to a motherboard, the method you use for adhesive dispensing is going to be informed a lot by the work that you’re doing. In addition, the kind of epoxy you use is also important for the dispensing method. As a result, there are a lot of different kinds of epoxy dispensing equipment. When it comes to manufacturing this is the least likely contender in the types of epoxy dispensers. This method involves hand cranking a pump and applying the epoxy to the surface of whatever you’re working with. For home projects and other kinds of work, you can certainly utilize one of these, however, if you’re working on anything large scale, you need to use a dispensing machine that is designed to suit your needs. Robots are a great way to create a precision machine that can quickly and efficiently perform the same action over and over without fail. A robot will not fatigue and will deliver a nearly identical product every time. 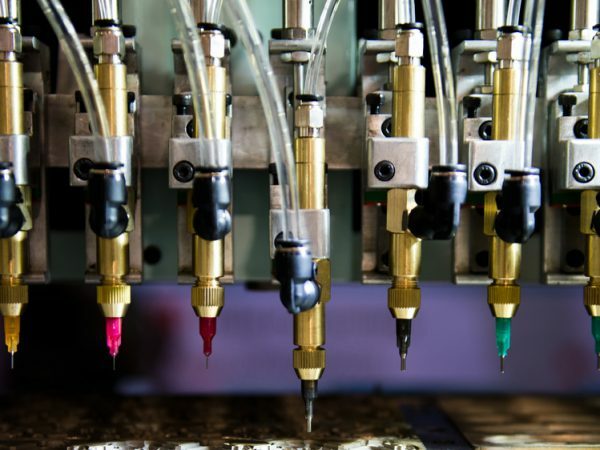 This allows your operators the opportunity to step away from the direct epoxy application and into the realm of robotic repairs and Quality Assurance methods. Compared to a manual dispenser a pneumatic dispenser splits the difference between robotic dispensing and human dispensing. Pneumatic dispensers are often handheld devices that give you precision without the stress of hand cranking. Simply taking away the need for the operator to deliver physical force on a hand pump allows for the precision required by all electronic and technology manufacturers. 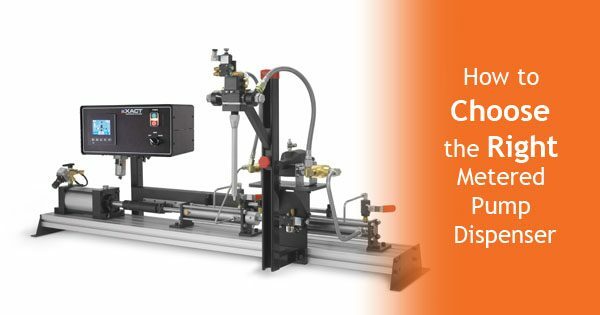 Pneumatic systems also allow for the human quality to remain in manufacturing. If there is a problem, or a part is in the wrong place the operator can do on the fly quality assurance in ways the robot will not be capable of. Choosing the right epoxy dispenser pump for your situation can make a huge difference in the quality and efficiency of your project. 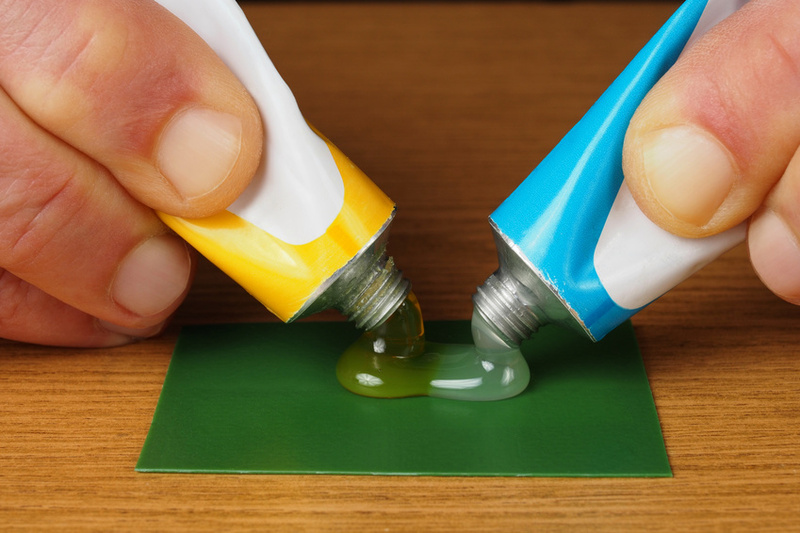 Epoxy is used in so many areas of manufacturing. Everything from LED bulbs to solar panels. LED bulbs only use 15% of the energy that a halogen bulb uses. The more time spent perfecting manufacturing procedures, like those of LED bulbs, the better energy efficiency everyone will have.